Patterson Belknap is pleased to announce that the firm is making a leadership gift to Human Rights First in support of its Pennoyer Fellowship Program. 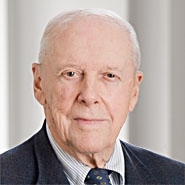 The firm is a longtime supporter of Human Rights First, Robert M. Pennoyer, our longtime partner, now Of Counsel to the firm, as a tribute to his lifetime of public service and commitment to human rights and the rule of law. Pennoyer Fellows come to Human Rights First from the nation’s leading universities, law schools, law firms and the business and public sectors. They each serve for two years, assisting the organization in responding to emerging human rights problems as well as focusing on issues that require long-term study and steady policy advocacy. The firm is proud to continue to support Human Rights First and the Pennoyer Fellowship Program in such an important way.